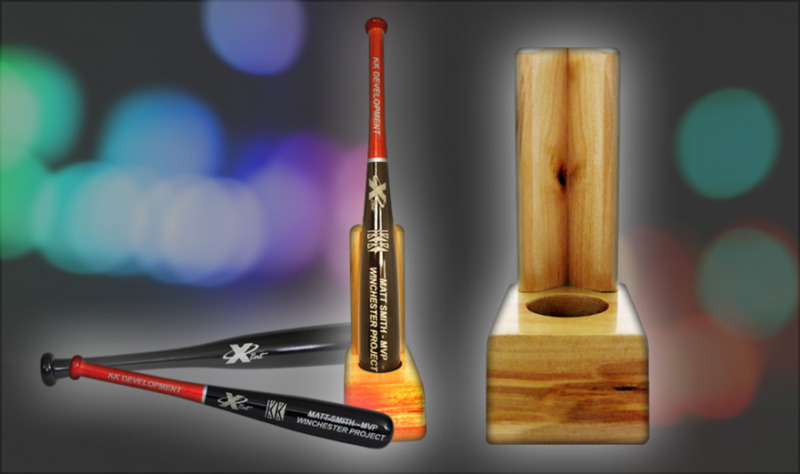 These attractive mini bat stands are made to display either our 11" or 19" Mini Bats. The perfect gift for that Executive that has everything. Small enough to fit on a desktop but distinctive enough to attract attention. Finished in Golden Oak. The 19" Mini Bat is a high quality desktop bat that is great for corporate and team gifts to clients, coaches, players, sponsors, customers, etc. These are carefully hand made and can accommodate a line of text on the handle and three lines on the barrel with space for a corporate logo as well as on the barrel.